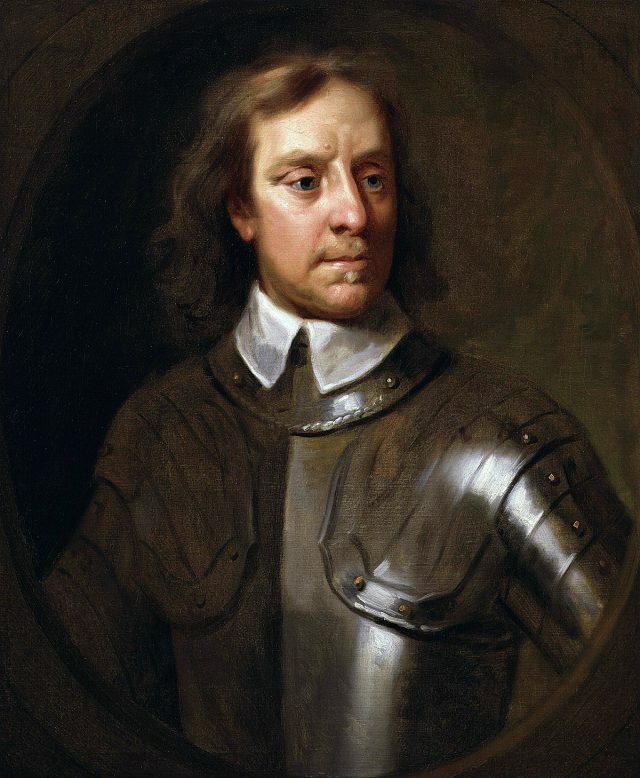 Oliver Cromwell was an English military and political leader during the 1600s. He served as the Lord protector of the Commonwealth of England, Scotland, and Ireland till his death in 1653. Cromwell was born in Huntingdon, England on 25, April 1599. He was born in a gentry family to Mary and Robert Cromwell. His family was puritans, which were part of the Protestant sect of Christianity. Cromwell’s early education was received from a popular Puritan minister till he was old enough to attend college even though he was taught by Puritans, during his childhood, Cromwell was not religious till the late 1620s and early 1630s when he had a few religious epiphanies. Cromwell studied at Cambridge University. However, he couldn’t finish his studies and receive a degree due to his father’s death in 1617. He saw himself fighting for the cause of the Puritan Reformation in England and getting rid of the Catholic influences in the country. Cromwell started in a political career when he was elected to the House of Commons in the Parliament. In the beginning, he was known as a person with rather strict Puritan beliefs. This reputation was changed in 1640 when there were tensions between King Charles I and the Parliament. The main reason behind these tensions was the king raising the taxes without consulting the Parliament. Along with this, they feared the influence of the king’s Catholic wife, Henrietta Mary on the King and in turn the country. the tensions only grew and this related in a Civil War in August 1642. Cromwell, who was also part of the Parliament raised an army in his county and led them into battle. He had a series of victories over the King’s army and was promoted to Lieutenant-General. Under his leadership, the Parliament defeated the King and his supporters, the Royalists and Cromwell was the hero of the war. Cromwell secured the Parliament’s army and named it the New Model Army. This occurred in the late 1640s. After the execution of Charles I in 1649, Cromwell rose in his stature and he commanded the military and became the first chairman of the new Council of State. Cromwell led numerous successful military campaign in Ireland and Scotland which made his power and influence grow. When he returned in 1653 and was surprised to see the constant debating and bickering which was going on. Using his military power, he dissolved the House of Commons and elected a new Parliament. In December 1653, after a coup d’état, he was named Lord Protector of the British Republic. Cromwell was given fun power over the Republic. He imposed his will over the country in the name of Reformation but it also included religious tolerance to all the Protestant factions and there was equal representation of all religions in the Parliament. Cromwell called for two Parliaments but he dissolved the first one. He had better relations with the second one. He recreated the House of Commons the House of Lords and made his position as the Lord Protector a hereditary one. This meant that the position would go to his eldest son after his death. Cromwell was forced to have a balancing act between the Parliament, and the Royalists. This stress caused a lot of health problems for Cromwell. He died of pneumonia in September 1658. He received a state funeral. However in 1660, after the restoration of the Start monarchy, his body was disinterred and public hanged.